SAN DIEGO — Celebrate Father’s Day weekend at the 2016 San Diego International Boat Show where more than 200 boats from entry-level family cruisers and trailer boats, to sailboats and luxury superyachts will be on display. 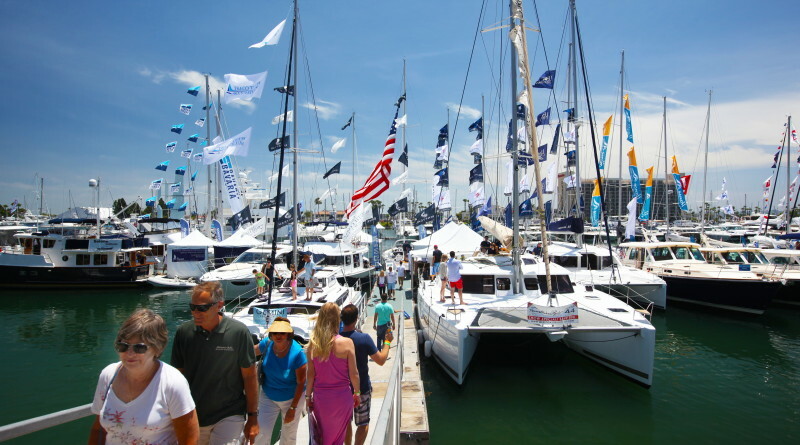 The 13th annual San Diego International Boat Show will have numerous boats on exhibit at Spanish Landing Park East on Harbor Island June 16-19. At the 2016 event, seasoned sailors, world-class cruisers and those new to the boating scene will have an all-access pass to discover the boating lifestyle and a chance to shop the newest boats and marine accessories. Several boats will be on display including the Moody 54 DS, a truly unique and revolutionary design. The yacht that is both a joy to sail and the ultimate in luxury, entertainment and accommodation, will be at the JK3 Nautical Enterprise display. Other must-sees are the 2016 Ocean Alexander 72, 36-foot 2015 Pursuit, and the 2016 Regal Express 28 along with the 46- and 42-foot 2016 Regal Sport Coupe. All five will be on exhibit at the Alexander Marine section at the show. Guests are also invited to get their feet wet at Try it Cove where inflatable boards, hard boards, kayaks and other paddle sport watercraft will be available for boarding. Boaters can sharpen their skills at workshops and seminars presented by experts, educators, and adventurers. Free daily seminars will cover a range of topics to help you make the most of your time on the water. Visit sandiegointernationalboatshow.com for more information. This year’s show class schedule includes 60-minute sailing seminars with SailTime San Diego, where guests can learn the basics of sailing aboard the Beneteau First 22. Visit sailtime.com/sandiego to register. Cost is $65 per person and includes admission to the boat show. For more information, call 858-794-6974 or visit sandiegointernationalboatshow.